Sales is a cutthroat field. Managers give their salespeople lofty goals to reach. If they don’t meet these goals, they could face serious punishment. They might get demoted or even lose their jobs. On top of this, there is often a lot of competition among the sales team, increasing the pressure to perform. If the salesperson is paid on commission only, the need to pay bills only adds to the stress. It’s not uncommon for salespeople to try extreme tactics in order to land a sale. But creating fake accounts bearing the names of current customers? That’s pretty low, but that’s what thousands of Wells Fargo employees did in order to reach sales goals and receive bonuses. The widely-known bank was recently fined a whopping $185 million over the aggressive tactics of its sales employees. The Consumer Financial Protection Bureau found that employees from Wells Fargo’s sales team opened two million accounts in the names of their customers without authorization. Managers did not do anything to stop the opening of the fraudulent accounts. In fact, the bank reportedly encouraged these illegal practices. Based on this incident, Wells Fargo announced on September 27 that retail bankers – those who offer checking accounts, credit cards and other banking products – would no longer have sales goals, starting January 1, 2017. This would eliminate the need to use inappropriate sales tactics to open accounts. In the meantime, Wells Fargo is working hard to do damage control. More than 5,000 employees were fired for their part in the account openings. According to Wells Fargo, the employees engaging in these tactics were lower-level employees who were not performing well. Cross-selling – selling other products to customers – has been halted while customer service representatives attempt to process the calls related to the incident. It is unknown when cross-selling will be resumed. Employees at brank branches are not affected by this temporary suspension. The recent settlement news is a huge blow to the bank, which had a good reputation and high customer satisfaction scores before news broke of the fraudulent accounts. Time will tell how the incident will affect the company. Customers will likely have concerns, especially if they find out their names were used to create these accounts without their knowledge. Stocks have dipped for Wells Fargo. Since news broke of the fraudulent account openings and subsequent settlement, Wells Fargo stock has declined by 5.6%. In total, the bank’s stock has lost 11% this year. Moody’s, a credit rating business, rates Wells Fargo as A2 with a stable outlook. 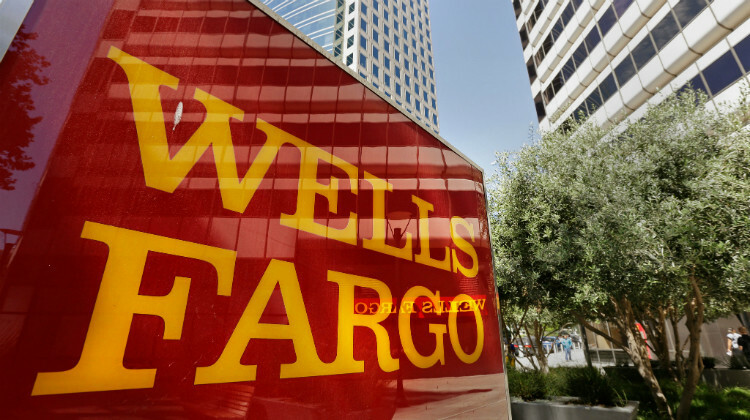 The company believes that due to the incident, Wells Fargo’s sales oversight and risk management will be strengthened. While Wells Fargo’s practices may be new to many of us, their inappropriate sales tactics were actually first uncovered three years ago – in 2013. The Los Angeles Times first broke that story, which led to investigations by local and federal regulators. The Office of the Comptroller of the Currency and the Consumer Financial Protection Bureau found out and also opened investigations and found that not only did Wells Fargo employees open unauthorized accounts, but they also transferred money from the valid accounts into the illegitimate ones without customer approval. U.S. Treasury Secretary Jacob J. Lew showed his disappointment in Wells Fargo at a conference. He labeled it as “bad behavior” that needs to stop. Lew finds it unacceptable to deceive customers in order to increase a company’s bottom line. He is asking for tougher oversight of financial institutions to prevent a similar incident from happening again in the future. Hearings are currently underway as lawmakers grill the bank’s executives about its inappropriate practices. Chief Executive Officer John Stumpf is one of the executives who will be testifying on the incident. The bank denies any wrongdoing. Wells Fargo is now working hard to better monitor the actions of its employees. The bank has spent $50 million on this initiative, which includes identifying improper sales tactics through a mystery shopper program and other elements. While sales goals are meant to motivate employees, some take the practice way too seriously. These lower-level employees have a hard time succeeding in sales through the traditional route, so they go to extremes to hold onto their job. It’s unfortunate the actions that some people will take to be a top performer or earn a bonus. It’s hopeful that Wells Fargo will take the appropriate steps to be more aware of these actions in the future to avoid a huge financial loss – and the trust of their customers.